Download Sketch Effect Mockup Free PSD. 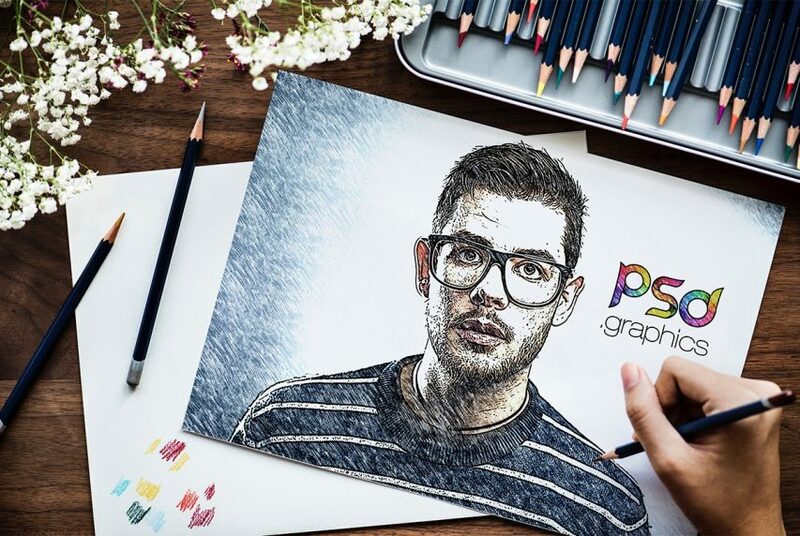 Today’s Freebie is unique mockup which you can use for transforming your photograph into a hand drawn pencil sketch. Mimics the lines and shading of a pencil drawing with this free Sketch Effect Mockup which you can fine tuned to make the most realistic look. Producing this style of sketch art would take hours of work but with the help this free Sketch Effect Mockup you can replicate and get the same pencil sketch style effect in just few clicks. Using this Free Sketch Mockup PSD you can showcase your concept art, blue print, drawing, wireframe, photographs, graphic design, ui design, logo design and concept etc in photorealistic way. So If you don’t want to create this effect manually, you might be interested in this free Sketch Effect Mockup PSD. Just use the smart layer to replace your poster and flyer designs and you are done! If you like you can download and use this Sketch Effect Mockup PSD freely. Anyway, hope you guys enjoy it and i hope this will help you benefit your project as well. Do not forget to Share if you found this helpful. All in all this Sketch Mockup has a modern and elegant look. This layered PSD resources comes with Easy & customizable PSD file arranged in groups and named perfectly which can save the time to create your own mockup. You can modify this Sketch Effect Mockup Free PSD. However you are free to use this Free PSD in your personal and commercial projects. If you are using this file please give some credits to psd.graphics Hope you like it. Enjoy!